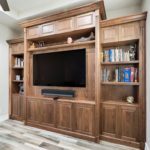 Valentine’s Day is around the corner and what better way to say “I love you” to your family than by investing in a custom entertainment center? With cell phones, tablets, and computers, it can become common for families to spend time apart even when they are at home together. 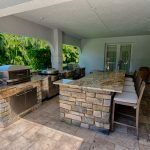 With a custom entertainment center in your West Palm Beach home, you can create the perfect environment for you and your family to spend time together. If you look at your current living room or another area that you want to use for an entertainment space, you will most probably find there is unused space. With a custom entertainment center, you can turn an unused corner into a space where people want to spend time together. 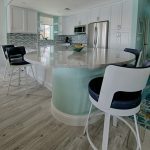 Another major benefit of a custom entertainment center is that you will be able to organize your television, DVD player, speakers, and any other gaming, audio and video equipment that your family uses. The cabinetry is solid, durable and built to measure. 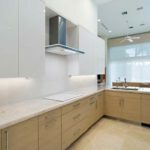 Fashionable concealments, remote-controlled sliding doors and numerous other facets of fine design are taken into consideration for each project. Measurements are taken of each compartment so that your technology is housed properly in its space. For more information about entertainment centers and wall units in West Palm Beach, please contact us today.